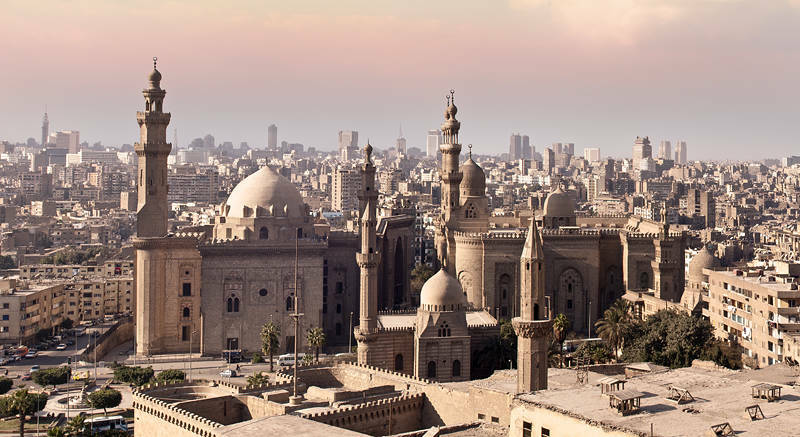 These are the Al Hassan and Al Rifa’i Mosques of Cairo in Egypt. The image was created from two separate exposures stitched together in Photoshop. A mask of the sky was made to add some blue however it clashed with the warm tones of the buildings. By changing the blend mode to Exclusion the blue sky layer added a soft brown which looked like a dust storm and balanced with the other colours in the image.